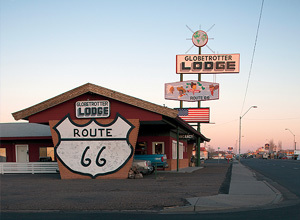 Located on historic Route 66, this hotel in Flagstaff, Arizona offers rooms with free Wi-Fi and a cable TV. It features an outdoor pool and is within easy walking distance of Northern Arizona University. 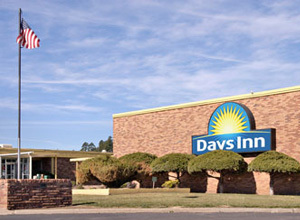 A coffee maker is provided in all rooms at the Days Inn Flagstaff – West Route 66. Each room is warmly decorated and includes a seating area. Free access to the hotel’s fitness room is offered to all guests, and a business center is on site. The hotel boasts a game room featuring 2 pool tables. A daily continental breakfast is provided at the Flagstaff Days Inn. The Lowell Observatory, officially declared a National Historic Landmark, is just 2 miles from the hotel. Flagstaff Ranch Golf Club is an 8-minute drive away. 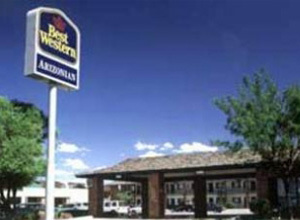 Located in Holbrook, Arizona, 4 miles from the Hidden Cove Golf Course, this motel offers air-conditioned theme rooms. An outdoor pool and a continental breakfast are featured. Each room at Globetrotter Lodge boasts a flat-screen TV with cable. All en suite rooms feature a hand-made sink. Decorated in Western influenced accents, all rooms include handmade wood furniture. Globetrotter Lodge Holbrook, guests can take a swim in the sparkling blue pool. Loungers and an outdoor dining area are provided. Holbrook Municipal Airport is 6.5 miles from this motel. Rainbow Forest Museum is 20 minutes’ drive away. 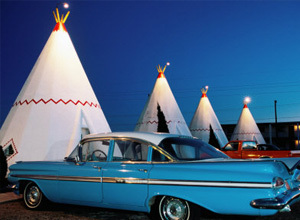 The Wigwam Motels, also known as the “Wigwam Villages”, is a motel chain in the United States built during the 1930s and 1940s. The rooms are built in the form of tipis, mistakenly referred to as wigwams. 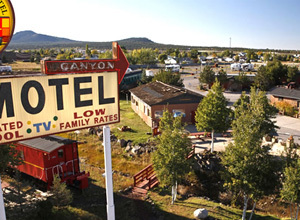 The Canyon Motel & RV Park is on 13 acres in the town of Williams on historic Route 66. Surrounded by the world’s largest Ponderosa Pine forest and have great mountain views. A few blocks away from restaurants, retail stores, galleries, and Old West attractions. Every cottage is in a lush forest setting and has mountain views. Located off Interstate 40, this hotel offers a seasonal outdoor pool and serves a daily hot breakfast. All guest rooms include central heating and air conditioning and feature free Wi-Fi. Holbrook Airport is 2 minutes’ drive away. A 37-inch cable TV with HBO film channels, a microwave and a refrigerator are included in all of the quiet rooms at Best Western Arizonian Inn. The spacious rooms include a work desk and tea and coffee-making facilities. For convenience, a business centre with fax and photocopying services and a 24-hour reception are offered at Arizonian Best Western Inn. The pet-friendly hotel also offers RV parking on-site for guest convenience. Holbrook Plaza Shopping Center is 3 minutes’ drive away from this hotel. Petrified Forest National Park is 3 miles away. Grand Canyon National Park is 172 miles northwest of this hotel.